I graduated college in December 2015 with a degree in Industrial Distribution concentrating in Medical Equipment and Supply. After graduation, I got a job with Integrated Medical Systems (IMS) to gain sales experience. About a year later I discovered the Medical Sales College and decided to attend the Spine Program. I have a handicapped brother that gave me a passion for the medical field. This career gives me the fulfillment that my hard work is improving someone’s life. I also love the fact that I will be in a fast pace, ever-changing environment and will be able to achieve my financial goals. After graduating college, I applied to several different “entry level” positions. I had little to no luck being considered for the positions I applied to. I came across MSC on LinkedIn. Absolutely. There is no guarantee of getting a job. However, there are rarely any guarantees in life. MSC does a great job of preparing you to not only get the job but also excel afterwards. I was fortunate to have the opportunity to intern for the Medical Sales College prior to attending the program. I saw countless hardworking individuals that were persistent and landed their dream job. I had an amazing instructor, Rebecca Camp, that brought both passion and technical expertise every single day. The program is fast, intense, and competitive which gives you a glimpse into the industry that you are signing up for. I was interviewing with several companies. The company I accepted an offer from consisted of six intense interviews and was around a 3-month process. The first was a FaceTime interview with the recruiter, second was a phone screen with the senior recruiter, third was a phone interview with the Regional Sales Manager, fourth was an in-person interview with him, fifth was an in-person interview with two senior reps. This would have been the end of the process but they decided that I would be a better fit for another team in the area so I had one-on-one interviews with each of the 5 reps on my team. My instructor at MSC made herself available to answer questions and encourage me through the interviews, which meant a lot to me. I just recently accepted my offer. I will be doing two weeks of virtual training, joining my team in the field for a few weeks, and then doing product training for two weeks in Massachusetts. 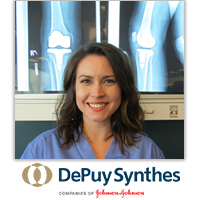 DePuy does a great job of investing in their employees to ensure success. The trainers at MSC are former successful sales reps. The curriculum is designed to prepare you for all areas of the job from the anatomy/pathologies to how to converse with surgeons and build vital relationships with individuals in the hospital. You should attend MSC if you want to differentiate yourself from your competitors and prove that you are truly invested in this industry. ZeroFee Recruiting combined with your hard work lands you the interview, and the training/coursework at MSC gives you the knowledge to close the deal. Also, several MSC graduates have told me that they are 10 steps ahead of people that are lucky enough to break into the industry without MSC training so I feel that I will be able to advance quickly. I am incredibly thankful and humbled to be starting a job that I’ve been working towards for so long. I wish that I would have known what an amazing network of people that MSC would connect me with. All of the MSC staff and several graduates offered their help/support throughout the interview process and I’m looking forward to having those connections as I continue to grow within this industry!